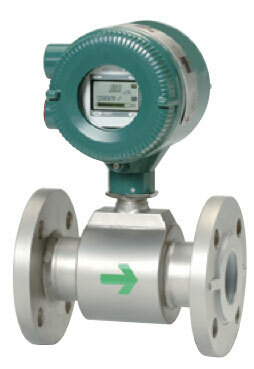 The utility process measurement is general application in all industry. 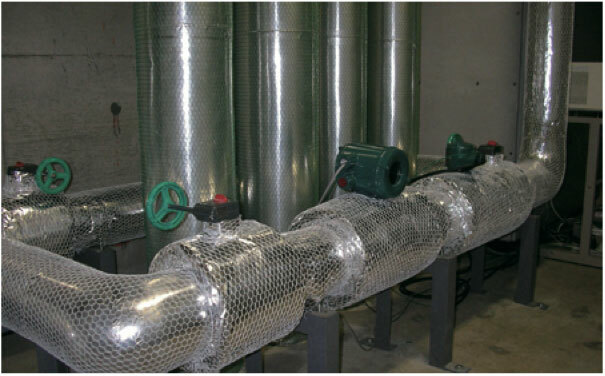 The process temperature and flow volume of the chilled water varies as a result of the air conditioning system. The measurement stability under the fluid condition change is very important factor for the optimization of the air conditioning control, and energy saving. Traditionally, 4-wire magnetic flowmeter is applied for the chilled water measurement to respond the process condition change accurately. 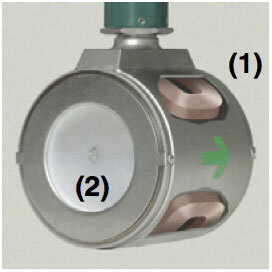 The ADMAG AXR is the world's first 2-wire magnetic flowmeter which employs the unique "Dual Frequency Excitation Method," achieving 0.5% of rate of best-in-class accuracy and excellent stability for process measurement. In addition, the AXR key technologies," achieves the same level of noise immunity as 4-wire type under the fluid condition change and delivers enough performance to meet the requirement to apply in the control loop. The dual frequency method successfully combines the best properties of low frequency excitation enabling the stability in measurement, and high frequency excitation delivering excellent noise immunity. 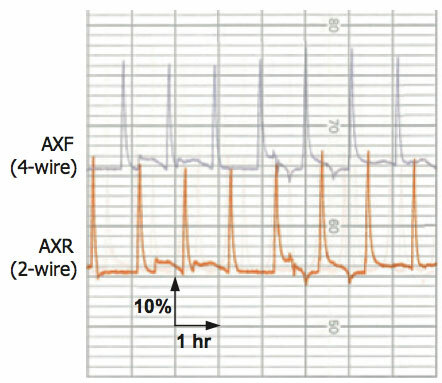 As a result, AXR can suppress process-generated noise securing zero stability without sacrificing fast response time. AXR 2 wire type and AXF 4-wire type are serially installed in a chilled water line and the fluid temperature 15 to 20 deg.C. The piping is insulated with the insulating jacket. The flow span is 55m3/h, and normal flow velocity is 30m3/h. The flow velocity becomes 45m3/h once per an hour. 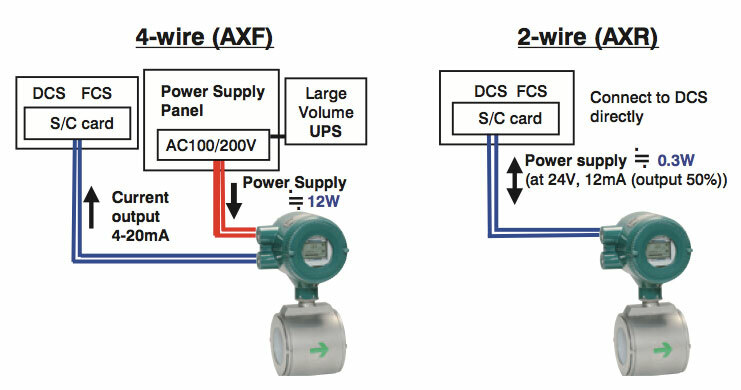 AXR accurately follow the flow change and delivers the stable measurement equivalent to AXF 4-wire magmeter. 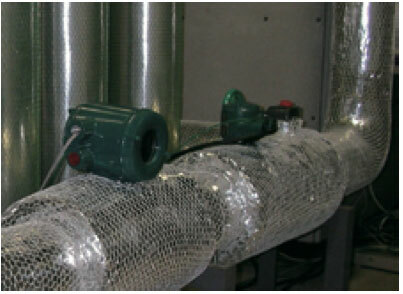 The ADMAG AXR 2-wire magnetic flowmeter can be installed in the 2-wire system without any AC power source, thus drastically reducing the initial instrumentation cost, and power consumption. The power consumption of 2-wire type is only 1-4% of that of 4-wire type, and contributes to the operation cost reduction. In addition, over 96% reduced power consumption contribute to the life time energy saving and reduce the carbon foot print.